It’s 1997 and Joe Strummer is interviewed on Spanish radio. He mentions the Dodge he bought in Madrid 12 years earlier but later lost. He puts out a call to the Spanish people to look for his car. 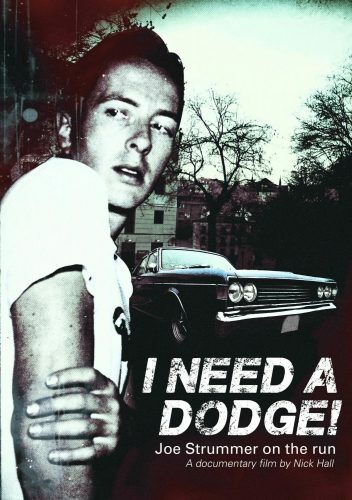 I Need a Dodge is a Documentary that stemmed from an interview on a Spanish radio station about a car Joe Strummer from The Clash lost. The whole Documentary goes into what Joe was doing in Madrid at the time and also follows the path of what might have happen to his car. The Documentary includes two editions, a Spanish and an English version granted I don’t know the differences as both are in Spanish with English Subtitles. We also get some music in between and a Spanish music video about that car. Overall Its was an OK film to view as I thought it was interesting but at the same time feel like it’s a weird documentary to make on this subject. I Enjoyed the music through out and didn’t mind reading subtitles as I do this a lot anyway. The documentary doesn’t go to much into Band The Clash but mostly its about Joe Strummer in Madrid and the Hunt for his car. With that said I give this Documentary A Right down the middle rating of 2.5 out of 5 stars. If you like Joe Strummer and are interested in this subject I say go and Pick this Up. I Like the extras, yes the interviews were cool but what this film comes with is a small bit of stuff that comes with your purchase like a booklet and some pamphlets but also a cassette tape of the interview.